— Are You On Your Feet All Day? Do You Get Heel Pain? You Might Have This! 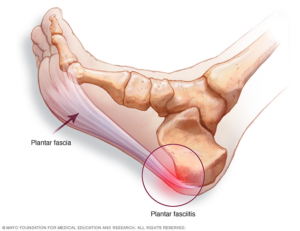 Plantar fasciitis is the number one cause of heel pain. 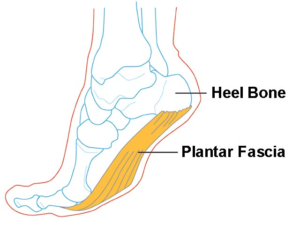 The plantar fascia is a thick, fibrous band of connective tissue originating from the heel bone and attaching at the toes. Unlike muscle tissue, the plantar fascia is not very elastic therefore it is very limited in its capacity to stretch or elongate. When too much stress is placed on the plantar fascia, micro-tearing will occur, resulting in inflammation and pain. These are just some of the reasons as to why you are experiencing heel pain. Come and visit one of our friendly podiatrists at Podiatry HQ South Melbourne for a full assessment and treatment regime. We will be sure to get you on the road to recovery!